The book begins with an introduction to fuel cells and fuel cell power systems as well as the fundamentals of fuel cell systems and their components. It then presents the linear and nonlinear modeling of fuel cell dynamics, before discussing typicalapproaches of linear and nonlinear modeling and control design methods for fuel cells. 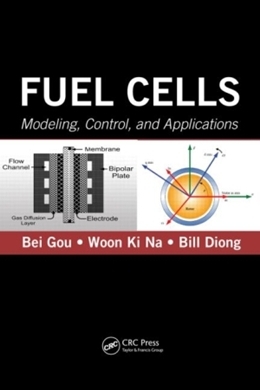 The authors also explore the Simulink implementation of fuel cells, including the modeling of PEM fuel cells and control designs. They cover the applications of fuel cells in vehicles, utility power systems, stand-alone systems, and hybrid renewable energy systems. The book concludes with the modeling and analysis of hybrid renewable energy systems, which integrate fuel cells, wind power, and solar power. Mathematical preliminaries on linear and nonlinear control are provided in an appendix.